the society where we are put up at is undergoing some repair work. 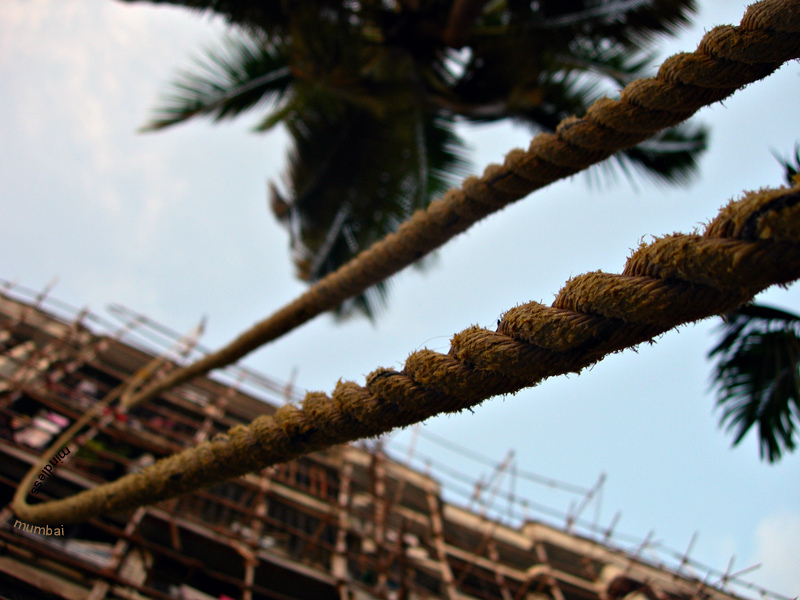 the ropes in the image are used along with a pulley to manually hoist up buckets of cement to plaster the external walls. the workers use the bamboo scaffolding to move on the sides of the building. Interesting angle! And I like the explanation.